This week has been by far the busiest in my schedule for a long time. I have been out and about on three occasions because the invitations were too good to decline. 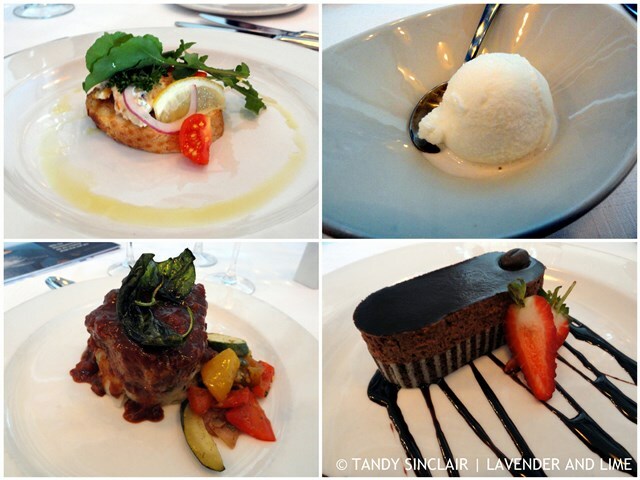 On Tuesday I was hosted by MSC Cruises SA at a lunch. MSC Cruises operates a stunning cruise liner, the MSC Sinfonia, out of Cape Town as well as Durban (their home port in South Africa). The Sinfonia has been expanded to take 2679 guests and as a larger cruise liner is coming our way for the summer season, MSC Cruises have invested in their key destination, Portuguese Island, off the coast of Mozambique. Further to this, local fisherman on Inhaca Island will be supported by MSC Cruises as they will purchase freshly caught fish during the time they are in the area. A cruise holiday is the perfect all in one vacation and a great option for families. All meals and entertainment are included, children are looked after from the age of 6 months to 17 years and children under the age of 18 travel free! You can depart from Cape Town during the months of January, April and May on a choice of 4 different itineraries. Durban has a choice of 6 itineraries and the Sinfonia will depart from there for the balance of the season. The MSC Sinfonia arrives in Durban via the east coast of Africa, departing from Genoa on the 25th of October 2015 and leaves for its home base on the 6th of May 2016 up the west coast from Cape Town to Venice. My dream cruise would be the Cape Town to nowhere lasting 2 nights and I will add that to my wish list of things to do next year. I am sure that John Faure had no idea that when he swapped his hens for ducks as a teenager, that he would create a legacy around his runner ducks. These ducks are used to eat the snails in the vineyards and a few years ago, a project was started to adopt a duck and become a member of the wine club at Vergenoegd. This has grown into a partnership with NCC to create an environment that attracts indigenous water birds to the wetlands. 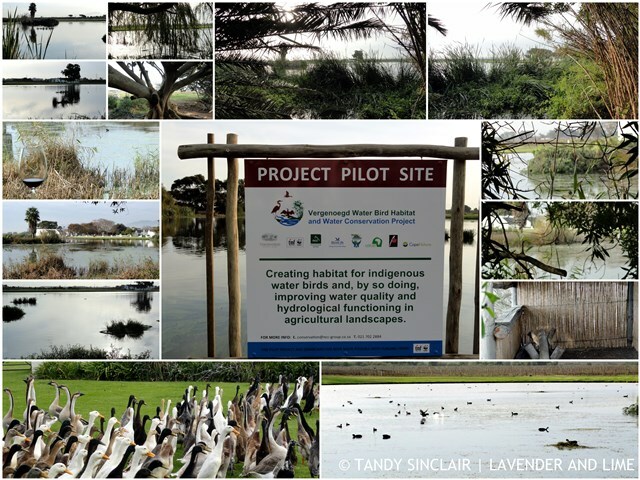 This project is concerned with conservation, improving water quality, creating jobs and avitourism. This pilot project will set the stage for future wetland habitats and I can only hope that more local farms incorporate this concept to provide a natural habitat for our indigenous birds. I would like to thank Sara Best from NCC for inviting me to this launch. We had the most amazing walk around the dam and I can recommend that if you are a bird lover, you grab a bottle of wine and head off to one of the hides and enjoy some quiet time with nature. 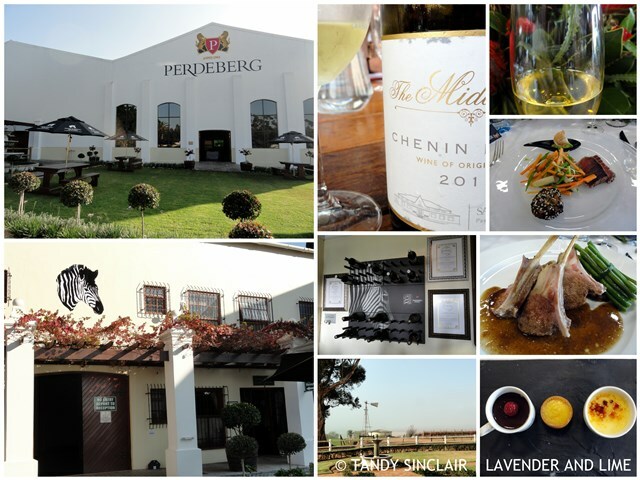 Yesterday I was hosted by Perdeberg at a Chenin Blanc tasting. The invitation was extended to me on behalf of the owner by Tammy Tinline from Wired Communications. I will be writing a post about the wines we tasted and my experience. I would like to thank everyone involved for a super function, and the lovely gift of 10 bottles of wine I was sent home with. Disclosure: I was invited to attend these functions without being required to blog about them. This post is in line with my blogging policy. Hi Tandy, I certainly would not mind being busy with all that you are doing now, the cruise sounds wonderful as does the wine tasting. Yum! The plating is gorgeous! I can see why they were hard to pass up! Lovely having invitations with no strings attached! Tandy – I am glad you blogged about these, even though you didn’t have too! I’ve never been on a cruise before – but it’s on my bucket list and I was fascinated to read about John Faure’s idea! Thank you for this informative post!